We’re the McCormicks. We’re a family of five who can be found watching Netflix, listening to the Hamilton Soundtrack, or obsessing over our Vizsla (dog). 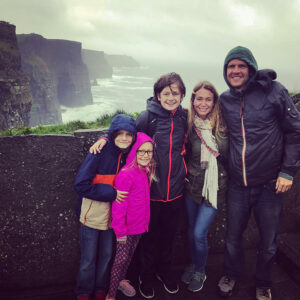 When we’re not driving our kids to Soccer, Swimming, Rehearsals, or Softball… we travel! Even when the kids are annoying – which is more often than not – we all agree that there is nothing better than exploring new places – together! Jeez, Connor… Can we just have one minute alone? Anyway, on this site we share many of our our travel adventures, plus we’ll also write about things we think are pretty sweet. To keep up with our travels, follow us on Instagram. Car Resale Value: What’s the Best + WORST Color Choice?